Tell you what .. it's getting rather chilly and very dark when I get out of bed these days! And so it was up to the dairy for the customary early morning start to pack up all the goatie goodies into cool boxes ready for our Saturday markets. Joe arrived at 5.30 to load up for Borough and, having waved him off on his way, I loaded my van up ready for a day at Balham. 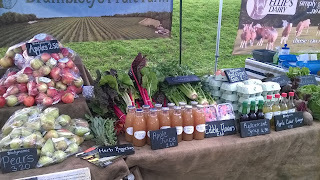 Today I had the pleasure of being next to Brambletye Fruit Farm - a wonderful biodynamic farm in Sussex. They have the most wonderful fruit and veg and probably the best eggs in the world. 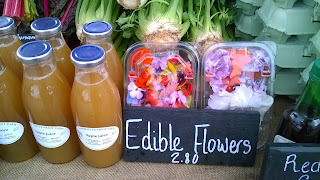 The stall is always really colourful and today it was made even better by the display of edible flowers .. fantastic! On our stall, I was thrilled to have our delicious kid meat back on sale again after a short absence. 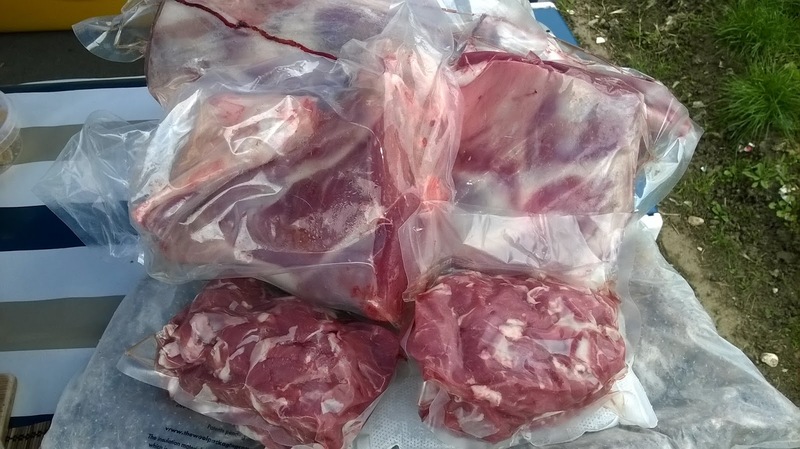 We only have a limited number of meat boys and we used them all up rather quickly last year due to increased demand. This year's kids were not quite ready and so we had to take a break from the meat for a couple of months. But we should now be able to keep ourselves going again for a while! 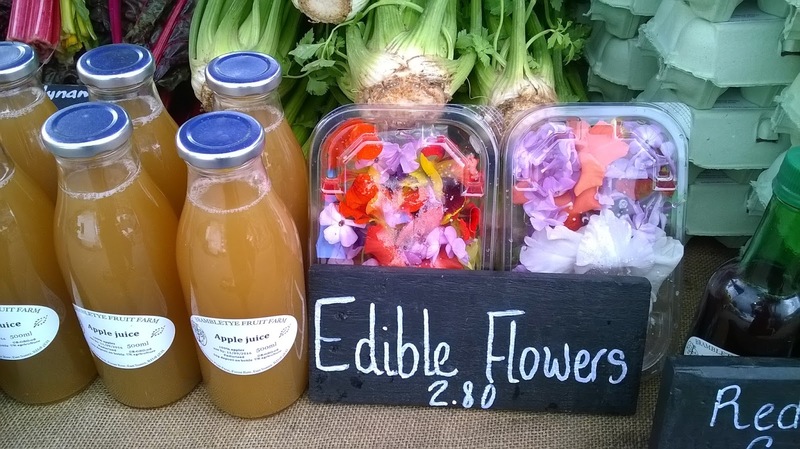 It was a steady day at both markets which are starting to get back to normal after all the summer holidays. Sadly, the traffic is also getting back to normal .. and it took me quite a while to fight my way back to Kent through the various extra traffic lights and road works on the way. David was already milking when I arrived back at the farm, but seemed to be distracted by Footsie goat who kept demanding to have her head rubbed ... She could quite happily do this for hours!